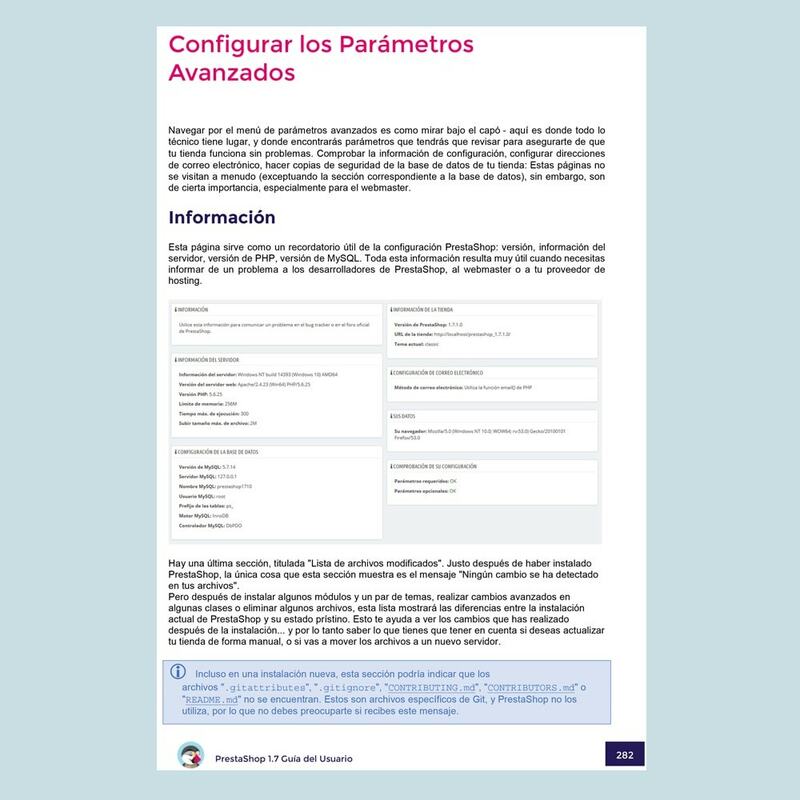 More than 300 pages and tips in Spanish to guide you step by step! With the Official PrestaShop User Guide for 1.7 in PDF format, find out how to easily configure your online store and use all its potential in order to increase your traffic, your sales and your turnover. 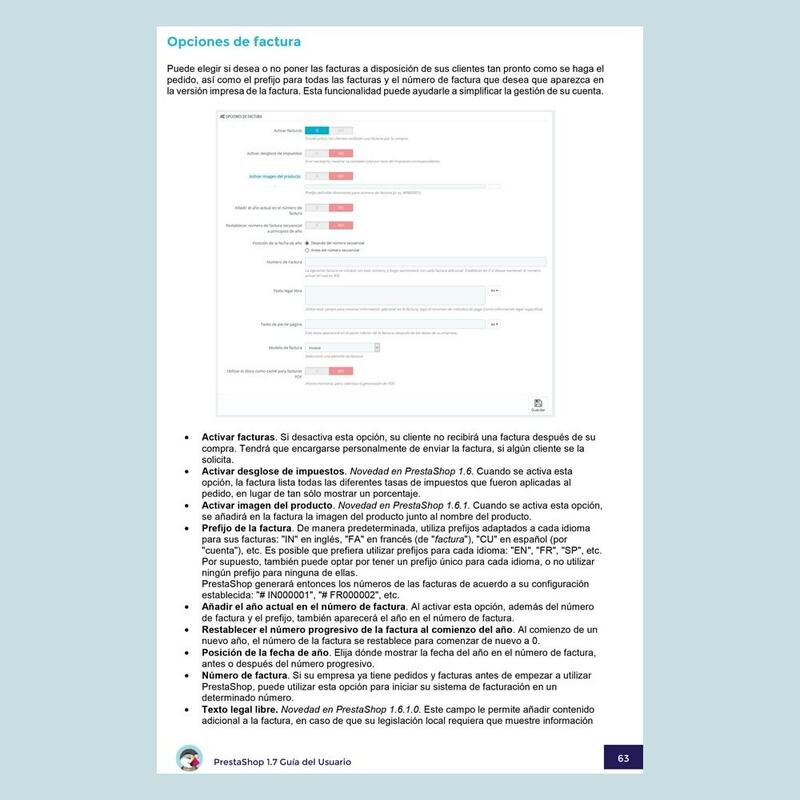 This 1.7 User Guide is also available in French and in English. Enjoy 100% of features available in your PrestaShop store! This user guide allows you to get to know all the functionalities available on PrestaShop 1.7. Soon you will be able to easily manage your PrestaShop store, and save time in your daily administration while optimizing your sales. 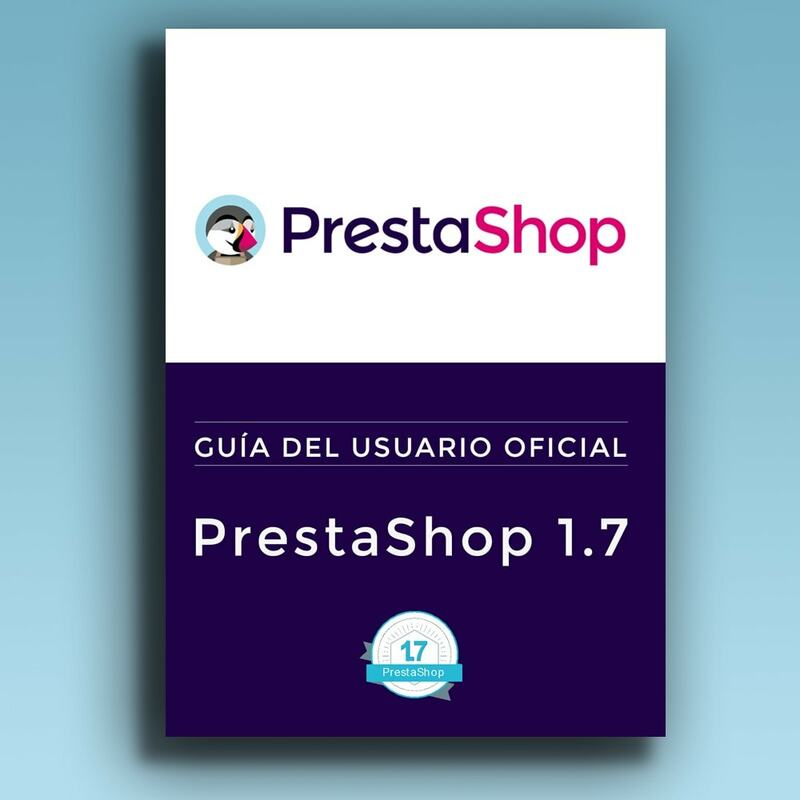 Discover the downloadable PDF version of the PrestaShop User Guide for 1.7 which was written by the Documentation team of PrestaShop. More than 300 pages and tips in Spanish to help you step by step.